Are you looking for a comprehensive apprenticeship, and are you enthusiastic about starting your career? If so, you’ll want to secure an exciting apprenticeship in our innovative, medium-sized company. Brauns-Heitmann offers well-organised apprenticeships, plenty of team spirit, and a motivating working environment. We provide training to safeguard our own future and aim to retain our apprentices as employees. 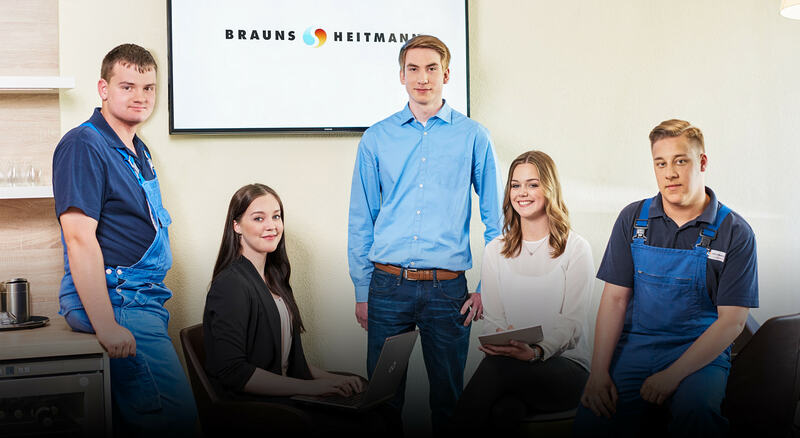 As a work experience student at Brauns-Heitmann, you can sample working life for yourself, either during the holidays or as part of a school work experience programme. Most of our work placements are in the technical areas of our production and logistics functions.